Father Murphy are an Italian duo from Torino. "Father Murphy is the sound of the Catholic sense of Guilt. A downward spiral aiming at the bottom of the hollow, and then digging even deeper." They released their debut album, "Rising. 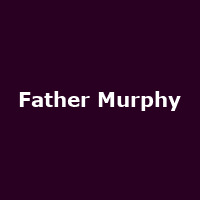 A Requiem For Father Murphy" in 2018.